Employees from Whitewave Foods joined us again this year for a clean-up effort in Rocky Mountain National Park! 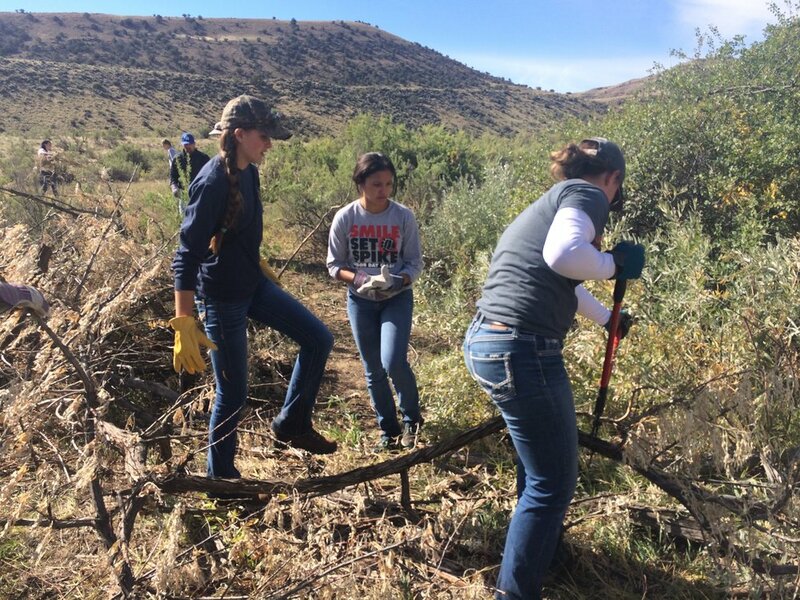 Participants got the chance to give back to the streams and wildlife of this wilderness area in lieu of a day of work - all sponsored by the Bonneville Environmental Foundation! 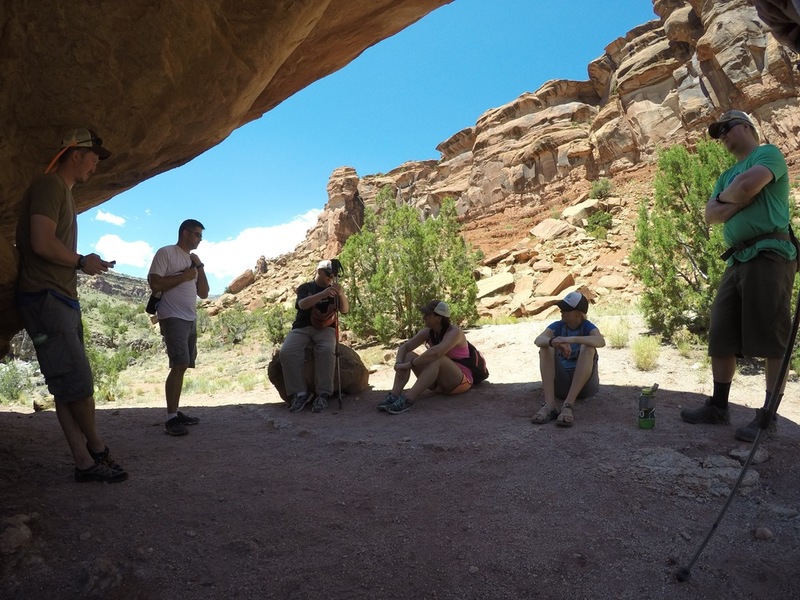 The Southwest Conservation Corps' Ancestral Lands program joined us again for a second year in a row to carry out a conservation project in Utah's majestic Cataract Canyon! 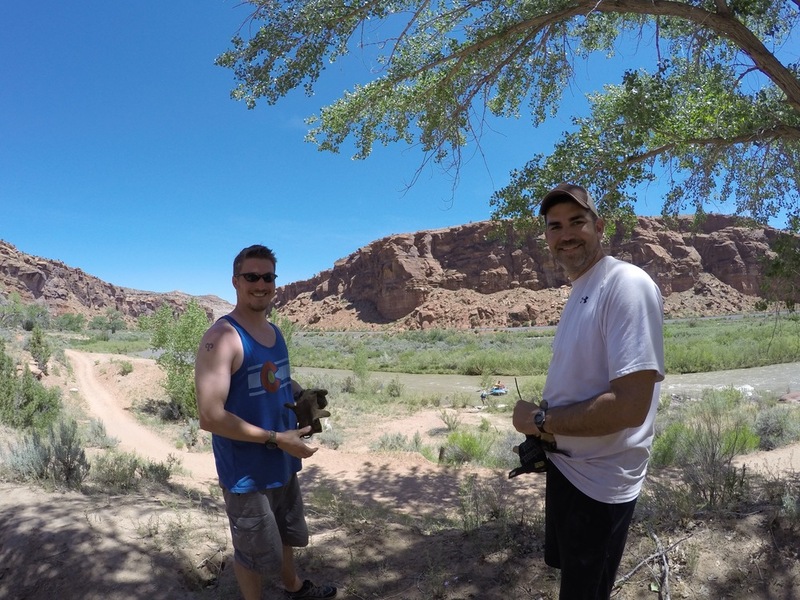 On this trip we were able to remove invasive Russian Olive and several other target invasive species from the banks of the Colorado River through Glen Canyon National Park all the way to Lake Powell. Our crew also conducted bat monitoring surveys and GIS monitoring of previously un-mapped areas to help determine future project priorities! 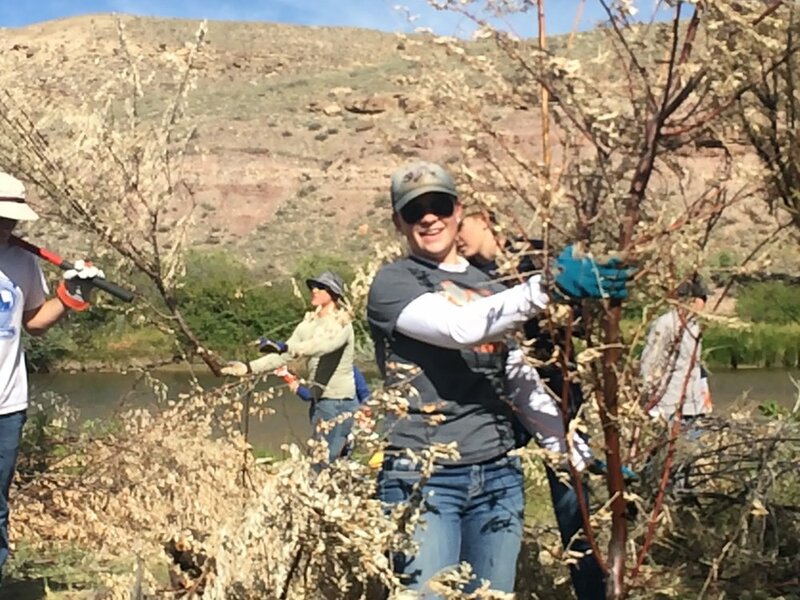 This year we had community members, Colorado Canyons Association volunteers, and students from Cedaredge High School help us out with a Russian Olive Removal Project on the Gunnison River!! 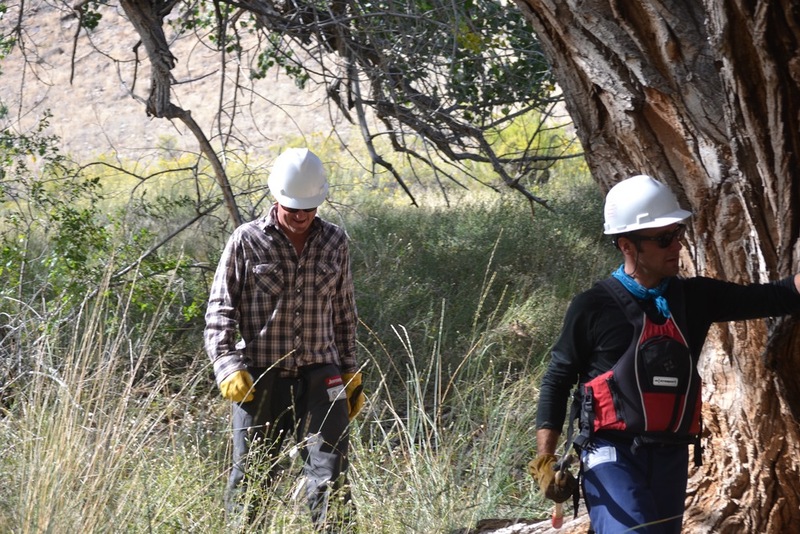 We are so thankful for everyone that helped out with this project- we removed over 65 invasive trees from the Lower Gunnison River corridor in areas that are hard to reach by road. 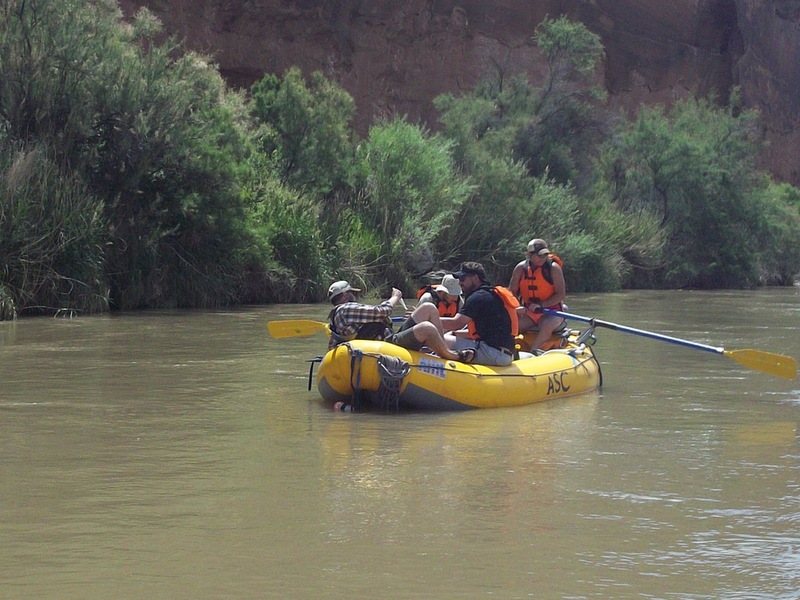 This project was made possible by the Uncompahgre Partnership and American Rivers! 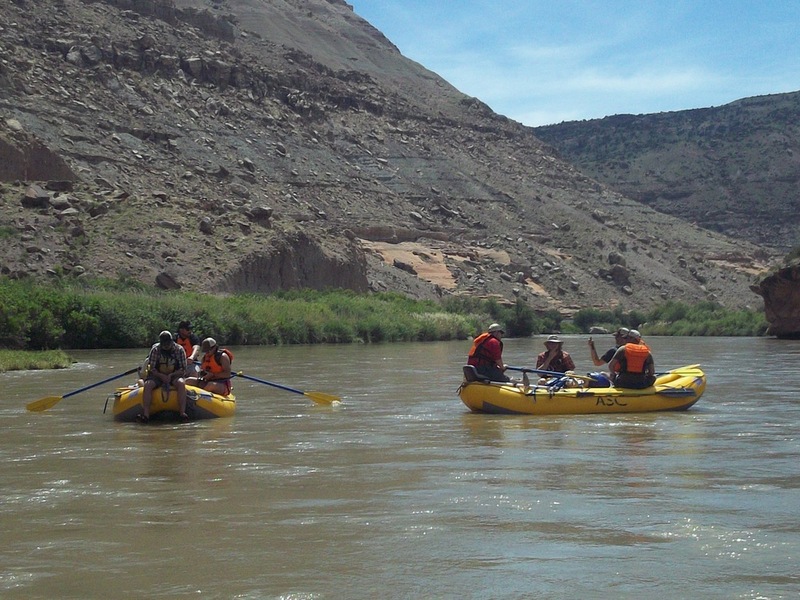 RRAFT partnered with Peace of Adventure and the Adaptive Sports Center to take a fantastic group on a trip through Dominguez and Escalante Canyons on the Gunnison River! 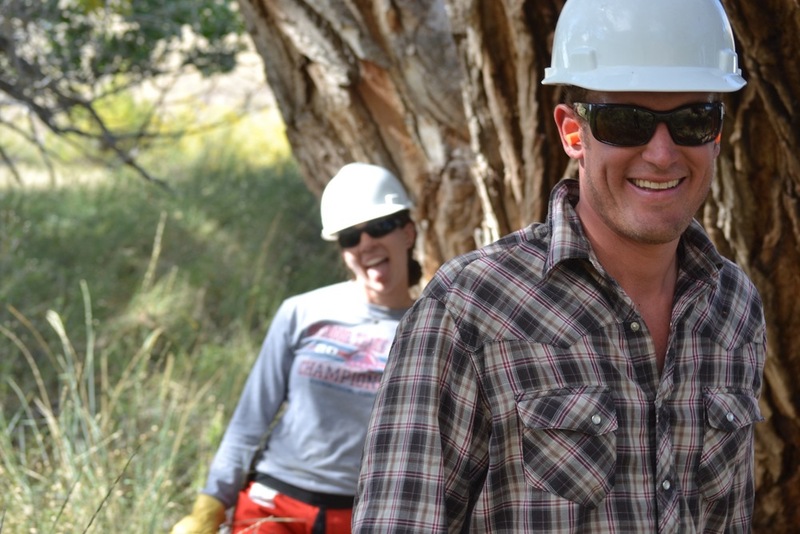 This awesome crew helped us clean up campsites and remove illegal fire rings right after a busy Memorial Day weekend. A huge thank you to American Rivers for supporting this trip! 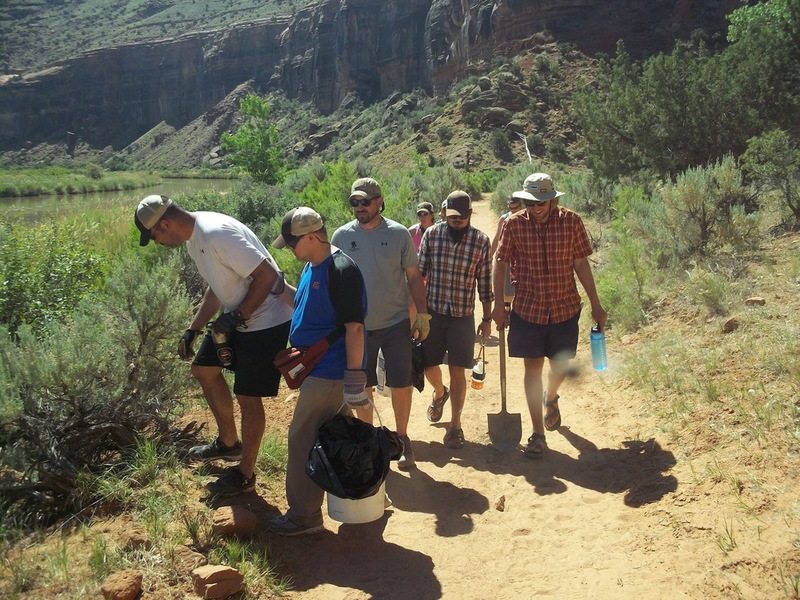 RRAFT partnered with the Southwest Conservation Corps Ancestral Lands program, Conservation Legacy, and the National Park Service to complete an invasive species monitoring project in Cataract Canyon! This project is part of a grant from the National Fish and Wildlife Foundation and will include a second trip in 2016 to implement invasive species mitigation based on the data findings from our 2015 trip. This 8-day trip, albeit a little rainy, was a fantastic excursion through the incredible Cataract Canyon. 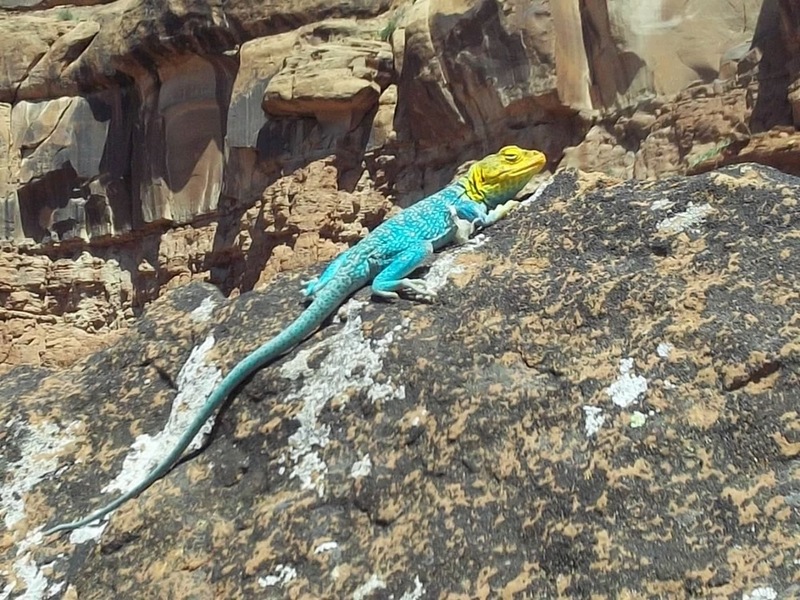 With the information gathered on the invasive species present throughout popular campsites and side canyons, we helped to enable the future restoration and protection of these areas! 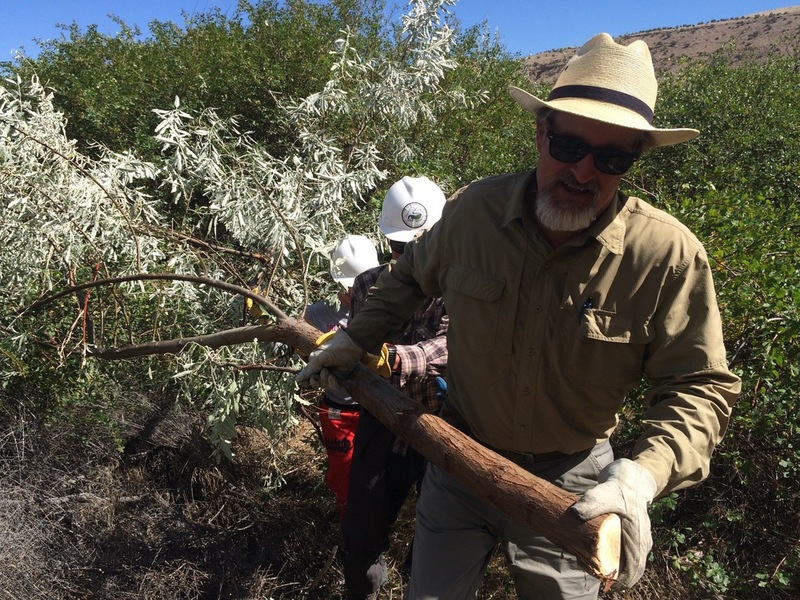 Volunteers from WhiteWave Foods helped the BLM remove fire-rings and clean up dispersed campsites to help reduce the impacts of users between Pumphouse and Rancho Del Rio! 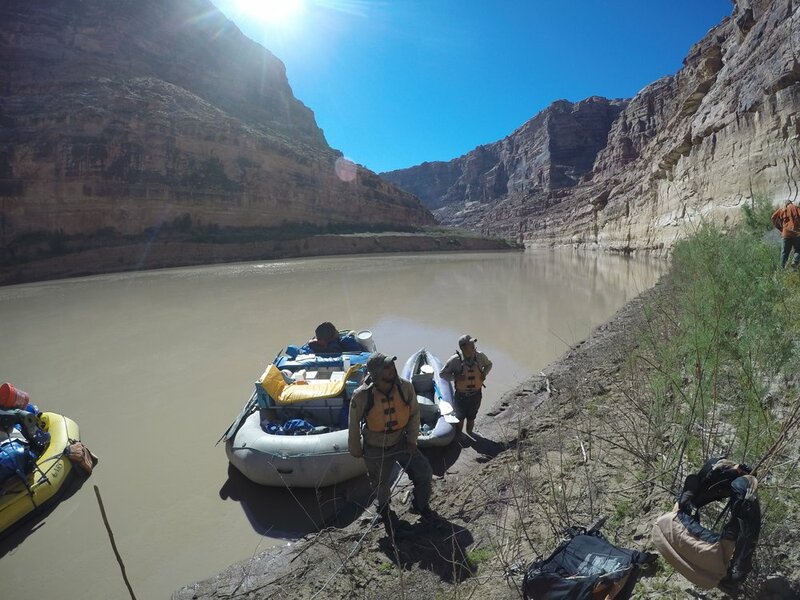 We reached over eleven miles of river on these two trips, and volunteers had a blast paddling through the beautiful canyons. Thanks to WhiteWave and the Bonneville Environmental Foundation for sponsoring this project! 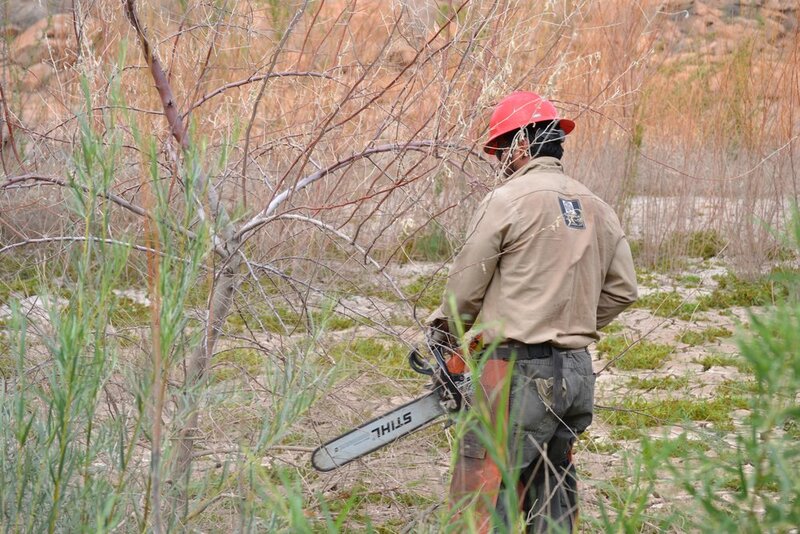 RRAFT partnered with the BLM to remove stands of invasive Russian Olive trees along the banks of the Gunnison River between Pleasure Park and Delta. For this one day trip, we targeted trees in areas inaccessible by vehicle. Our team of sawyers and community volunteers were able to remove trees from three miles of river in just one day! This project was made possible by a grant from L.L. Bean and the American Canoe Association. Students from the Delta High School's AP Environmental Science class and RRAFT volunteers joined us on the river to help plant Cottonwood Trees on the Gunnison River above Delta! We planted a total of two hundred trees in two days! 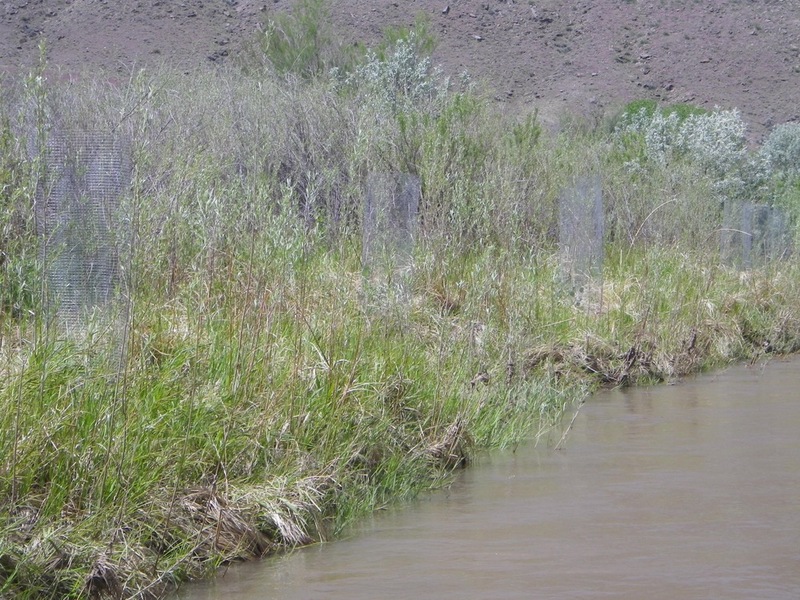 These new little trees will one day grow tall and strong to support a healthier riparian ecosystem in the Gunnison Gorge National Conservation Area. 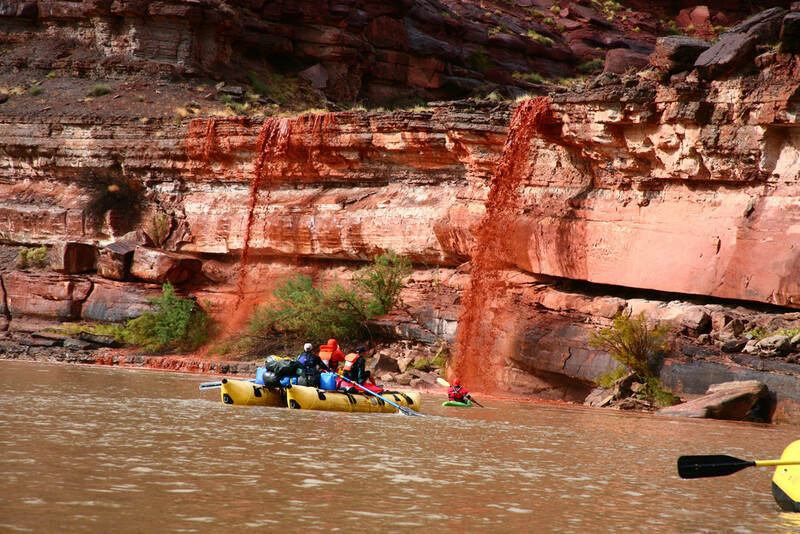 We are proud to help the BLM with this important project, and couldn't have done it without support from the Colorado Canyons Association and the American Canoe Association/L.L. Bean Club Fostered Stewardship grant. Thank you to everyone who was involved! As we get out in our free time and raft our local rivers, we have been noticing some large tarps, old Udisco rafts, cans, bags and bottles stuck on the bank, in willows, on bridge pylons, and even an old fishing chair in the middle of the river. We have been taking note of trash and have been steadily collecting it to work towards a cleaner river right in our backyard. If you're out on your local river this weekend, don't just float by the trash you see! We challenge you to pick it up and throw it away. Together we can start to clean up our watersheds one piece of trash at a time!